Meet at West St. Columba's Church All welcome, come along meet new people and old friends. Share knowledge and know how, make things, have a cuppie and a chat. Opening times Tuesday 10am - 12 noon, Wednesday 2pm - 4pm & Thursdays 10am - 12 noon. 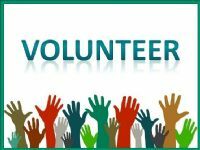 Volunteer Role: Are you a people person? Are you able to chat with people in an easy and friendly manner? Are you happy to make phone calls on behalf of others? If this sounds like you and you are able to give one Tuesday afternoon every 4-6 weeks, then you might be the right person to help run a new Information Hub. 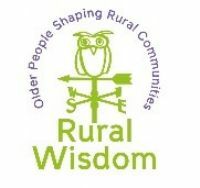 From 11th September 2018 until the end of March 2019, in partnership with Brechin Community Food Pantry, we will be trialling an Information Hub for all residents in Brechin. We are aiming to run the hub on a weekly basis to start with - every Tuesday from 12pm-4pm. We heard from people in Brechin that a physical presence in the centre would be beneficial to help access information around: community groups, activities, pensions/attendance allowance, community alarm, transport options etc. as well as signposting to other services in the area. As such, we have already started collecting the necessary information from the steering group along with support from other organisations in the area. We now need to find the right team willing to give their time to provide this valuable support service. 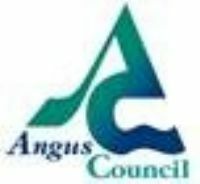 Angus Citizens Advice Bureau provides free, confidential, independent advice, information and support to all residents of angus across a wide range of topics. They are available to help with any enquiries including income maximisation benefits, debt, employment, housing, consumer etc. Voluntary Action Action - VAA is committed to delivering the best outcomes for Angus people. As the lead organistion VAA will take the lead on volunteer recruitment and SQA accreditation. Are you looking to gain confidence, meet new people and learn new skills in a relaxed and friendly environment? Have you considered becoming a volunteer, but are unsure how to get involved? Why not get in touch and have your skills matched up with available opportunities to start your journey in volunteering. 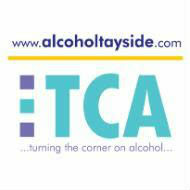 Tayside Council on Alcohol (TCA) provides a range of services which offer support to individuals, families and communities affected by alcohol use, other substances and offending.